We're excited to host Dr. Jessie Quinn of Great Ecology for our next Discover Nature lecture on Badgers! Learn about the mysterious and charismatic American Badger as Dr. Quinn shares her 4 years of work with UC Davis studying badger ecology and population distribution across California. We hope you'll join us for her lecture on May 1st! In the meantime, brush up on your badger knowledge by reading our latest blog post below. Responses by Dr. Jessie Quinn. 1) What is your background and how did you get involved studying badgers? My background is in wildlife ecology, which actually stemmed from a love of the outdoors, and from a hobby of birdwatching I developed as an undergraduate at UC Santa Barbara. I spent several years after college working on bird projects for various agencies. I eventually decided to pursue graduate studies at UC Davis in a lab with two potential projects I could work on: one involving invasive black rat impacts on native bird and small mammal populations on the Channel Islands, and another investigating black rat predation on songbird nests in riparian forests in the Central Valley. I worked a little on both of those until an opportunity came along to develop a project investigating the invasive Small Indian mongoose in Puerto Rico. That project focused on a number of potential predators of the endangered Puerto Rican Parrot, and mongooses in particular as both a parrot predator, and as a vector and reservoir of rabies. So, I ended up doing my M.S. research on mongoose spatial and social behavior in the context of management of those issues. I found working with those feisty little carnivores interesting, so I looked toward planning a Ph.D. project on mongooses or a similar species at UCD. My M.S. 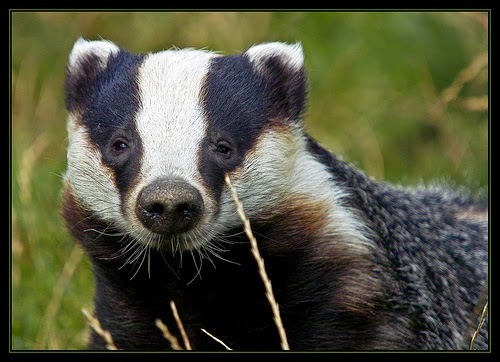 advisor was returning to her native Australia, so I found a new advisor in Dr. Rosie Woodroffe, an internationally recognized expert on European badgers in the context of bovine tuberculosis management in the U.K. She was interested in the conservation of California carnivores, and asked me if anyone had done anything on American badgers. It turned out that the California Department of Fish and Wildlife (CDFW) had some concern about how California's badgers were doing, but there were hardly any data on their behavior, habitat use, or even range extent. The sparse data included one sighting survey conducted by CDFW in 1986, and before that, a compilation of trapping locations compiled by Joseph Grinnell in the 1920s; and then a telemetry study of 2 badgers for 1 month in the Santa Monica mountains in the 1990s. Given that sizable knowledge gap, CDFW was willing to fund a study as part of their Resource Assessment Program in partnership with the Wildlife Health Center at UCD assessing the conservation status of the American badger in California, so I decided I'd give it a go. 2) What are some of the things that make badgers unique and interesting? There are so many unique and interesting things about badgers! 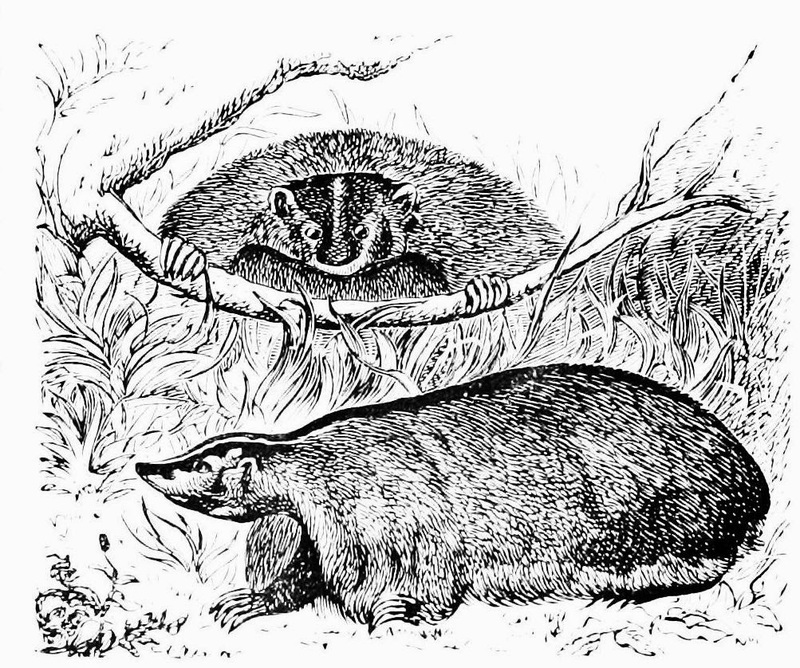 They are fossorial carnivores, which is unique, and their phylogeny is very interesting, too… American badgers are the only species in their genus and subfamily. Same with honey badgers. The rest of the badgers in Europe and Asia are more closely related to each other, but are also all in different genera. Of course, their defensive mechanisms—famously their bad attitude—but less famously, their physiology (loose, tough skin, incredible digging ability from their front leg and claw morphology). Also, they have such an attractive and unique face, which likely evolved to communicate a threat to potential predators. All a predator needed to see was that little aposematic face filling a burrow hole, coupled with bared teeth and a fierce hissing, and it didn't bother wasting its time pursuing such problematic prey. 3) Are badgers mostly solitary or do they live in groups? American badgers are solitary outside of the breeding season. Only Meles badgers (European and Asian badgers) are truly social and can occupy huge, communal dens for generations. 4) What traits have helped badgers survive from an evolutionary perspective? 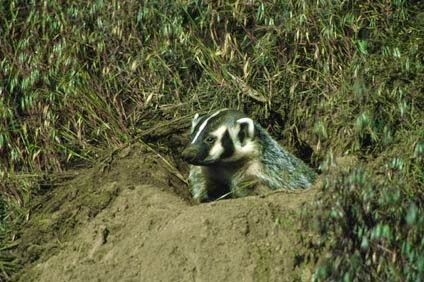 Competitively amongst other carnivores their size, badgers occupy a unique ecological niche as a carnivore of the open prairies and deserts that specializes on digging up fossorial rodents. And of course, the traits I mentioned above (attitude, face, skin characteristics) have long protected them from larger carnivores. Badgers evolved alongside potential predators that included Mountain lions, Grizzly bears and Gray wolves that ranged across most of the Great Plains and western North America before European colonization. When cornered without a burrow nearby, badgers go on the offensive pretty aggressively. This deters even those larger predators that don't want to risk the likely injury associated with trying to kill a badger. And if they do go for the badger, they will find that its skin is so loose, they'll have a hard time keeping a hold of it… when grabbed by the haunches or back, a badger can literally turn around inside its skin and bite the predator in the face. Badgers' aggressive behavior is necessary because their legs are evolved for digging, not climbing trees or running fast, and they occupy very open habitat without places to hide. 5) What role do badgers play in the ecosystems they call home? Badgers move a significant volume of soil on a day to day basis, and thus significantly affect the very structure of the landscape. Studies in Idaho have documented the significance of badger burrows in the sagebrush-steppe community, and suggest their likely important impacts on soil and ecosystem processes in that habitat. Additionally, the overturned soil can serve as a colonization site for plants, and the actual burrows are used by numerous other species; including burrowing owls, kit foxes, coyotes, snakes, and ground squirrels. 6) What is the history of badgers in the Sonoma County area - were they once more prevalent than they are today? If so, are there any steps being taken to encourage population growth? Sonoma County provides perfect habitat for badgers- oak woodlands, grasslands, and sage scrub. However, badgers tend to live at low population densities (depending on their prey species distribution), and are somewhat territorial, so that would have limited population size. But generally, they were probably much more common than they are today. Badgers were trapped at high densities at the turn of the century for their fur, and because they present a (perhaps perceived) risk to cattle and horses, they were controlled as a pest in rangelands. Additionally, badgers seem to be especially sensitive to the effects of habitat fragmentation and development. They don't appear to do well where there are busy highways, and may also be suffer secondary poisoning from ground squirrel, gopher, and coyote control efforts. Regarding conservation efforts, badgers are listed at the state level as Species of Special Concern. As of yet, that hasn't meant much in terms of active population management, probably because so little has been known about badger distribution and abundance. In fact, badgers are still a game species with a designated season, and they can be taken at any time without a permit for depredation. However, they have to be considered under the CEQA regulatory process (for any state project, or projects that require a state permit that may impact natural resources) due to their listing status, so we do see project proponents that seek to minimize impacts to badgers when they are known to be present at a project site. 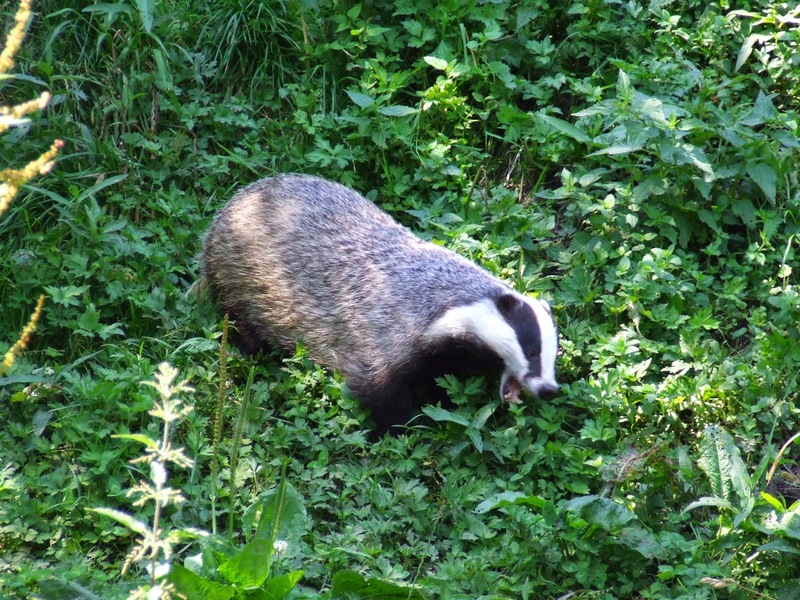 However, the challenges that remain for project managers are 1) establishing whether or not badgers are "at" a site, as they move constantly and widely; and 2) figuring out how to avoid badgers when it is hard to predict where they will pop up next. Dr. Jessie Quinn is a Senior Ecologist at Great Ecology and has over 15 years of experience. She has a strong background studying habitat use, developing species occurrence models, and leading multi-agency studies supporting wildlife management and habitat planning. She develops and conducts habitat and ecological risk assessments, develops standardized methodologies and novel technical tools for quantitative analysis, and oversees fieldwork protocols. Dr. Quinn specializes in Habitat Equivalency Analysis (HEA) for Natural Resource Damage Assessments (NRDA), wetland functional analysis, experimental design and analysis, and inventory and monitoring methods. Dr. Quinn holds a Bachelor’s degree in Ecology from University of California, Santa Barbara, as well as a Master’s degree and Doctorate in Ecology and Conservation from University of California, Davis. - See more at the Great Ecology website. At Pepperwood we believe all of our activities should support our mission of advancing the health of Northern California's land, water and wildlife. We also believe in meeting the needs of our members. After all, membership contributions provide the foundation for accomplishing our mission. In addition to the "feel good" of knowing you are playing an important role in helping accomplish important conservation work, members have received invitations to four events each year. These events have ranged from private exhibit opening to lectures to hikes, with each offering a behind-the-scenes component to give members an insider's look into our work. The behind-the-scenes feature may be a Q&A with President and CEO, Dr. Lisa Micheli, dinner with scientists, or hiking with experts in various fields. Members explore Double Ponds on a hike to Wiemar Falls. Day long excursions have been a particular favorite. No big surprise, I suppose. Pepperwood occupies 3200 glorious unspoiled acres of woodlands, Doug fir forests, redwood forests, sweeping meadows and gorgeous panoramic views of Mount St. Helena, Knights Valley and more. It is a peaceful, pristine, even magical place where coastal fog fills local valleys and peaks float like islands in the mist above our ecosystem. And membership gives you access to explore places otherwise unknown to you. Recognizing the gift the land is and the desire our members have to be on this land, we are restructuring the Membership Program to offer excursions to remote areas of Pepperwood four times a year, once each quarter. 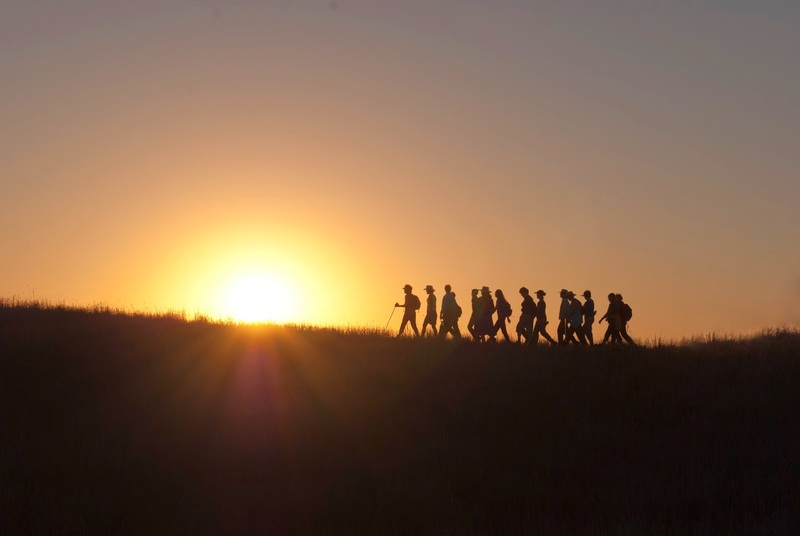 These hikes will last the majority of a day and end with informal social gatherings. Each hike will have an educational component. Perhaps you'll learn about ferns as you visit Weimar Falls or discover the ecosystems that live at the top of redwood trees as you descend into Redwood Canyon. In addition to these four hikes, members will also receive invitations to two other non-hike events. There will be a celebration around the holiday season followed by an event in spring showcasing future plans. 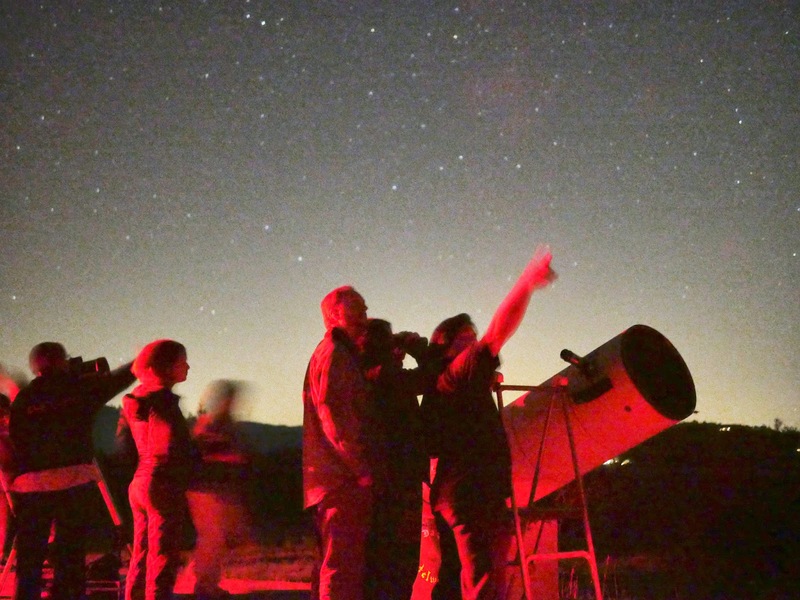 Members explore the summer sky at a stargazing event. If you're a member reading about this restructuring, I hope you're pleased. If you're not yet a member, I hope these offerings inspire you to join the Pepperwood Family, take an even more active role in conservation efforts, and enjoy these rewarding benefits in the process. As in the past, members will receive postcards on all membership activities a month or more prior to the activity and they will be showcased on our website. Should you have any questions, please don't hesitate to contact me at jbartice@pepperwoodpreserve.org or at (707) 591-9310 ext. 202. I started on the path to become a steward in the Fall of 2009 when I enrolled in the Santa Rosa Junior College class Bio 85.1 (Pepperwood Natural History: Physical Environment). In the Spring of 2010, I continued with Bio 85.2 (Pepperwood Natural History: Biotic Environment). These courses were phenomenal – extremely interesting and taught by fantastic instructors. They introduced me to new areas of interest that I have continued to pursue. I also was certified as a California Naturalist at the completion of this coursework. After completing the Bio 85 classes I became a Steward Intern for one year, working on various projects on the preserve, and then graduated as a full Pepperwood Steward in the summer of 2011. I have been interested in nature from the time I was a young child. My grandparents owned a 22,000 acre cattle ranch in Lake County and we spent summers there until the ranch was sold when I was about 10 years old. I spent many hours exploring the property and investigating the plants and animals that lived there. After my grandfather passed away, my grandmother sold the property in Lake County and purchased property in the Napa Valley, where I continued my explorations of the natural world. 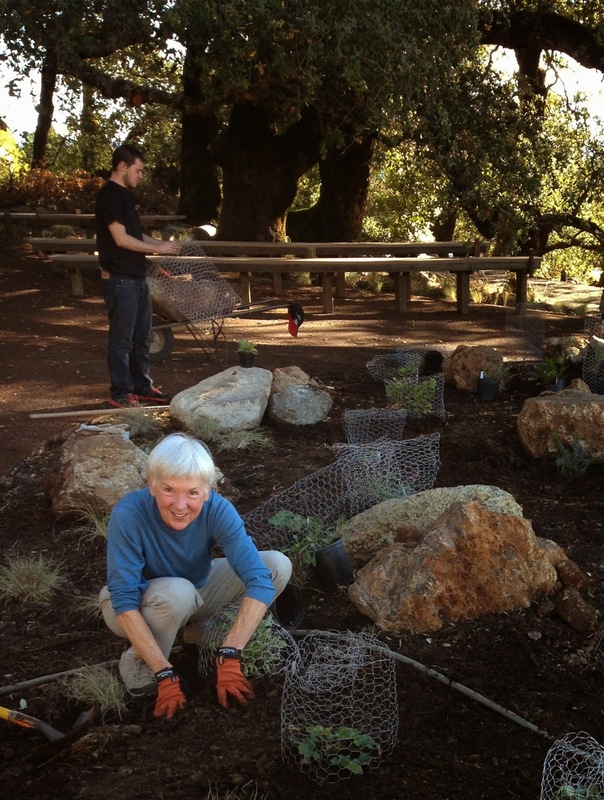 I found out about Pepperwood Preserve from Steve Barnhart when I was working and taking classes at Santa Rosa Junior College and decided that this was where I wanted to volunteer when I retired, which I did in the summer of 2009. Being at Pepperwood, with its incredible expanse and vistas, recaptures a part of my Lake County experience. Pepperwood is very special in its own right and also brings back wonderful memories of the past. Every time I come to Pepperwood I feel privileged to be there. Pam working in the demonstration garden. One of the first projects I worked on was an acorn monitoring project. We constructed and installed acorn traps under various Oregon oaks in the area of Redwood Canyon to monitor their patterns of acorn production. I also have been involved in projects to collect and propagate the seeds of native grasses. Currently I am working on two different projects. One project, which started during my year of internship, involves placing motion activated cameras in different parts of the preserve to identify the wildlife that inhabit those areas. I also have been actively involved in planting and maintaining the demonstration garden at the Dwight Center. Pam helping collect native grass seeds. At Pepperwood I am able to reconnect with the natural world in a way that cannot be done anywhere else in the relatively near vicinity of Santa Rosa, where I live. The beauty of the environment, the peace and quiet, and the insulation from the sounds of traffic and human activity rejuvenate me and put me back in touch with what is important in my life. Because of my involvement in the mobile remote camera project, what has surprised me the most is to discover the incredible variety and numbers of wildlife on the preserve that are seldom seen by us. I have walked one particular trail for years, never seeing most of the animals that we have captured with our cameras. I think volunteering at Pepperwood is an incredible opportunity to enjoy the beauty of a very special environment and to meet wonderful people who are committed to protecting this area and to encouraging others to appreciate the wonders of the natural world. What I like to do the most is to be outdoors – hiking, walking my dog and doing agility training with her, gardening, and enjoying my family home in the Napa Valley, where I also keep bees. I love to travel and I love to read, novels and mostly books on natural history.